This entry was posted in Art, Christian Spirituality, Creativity, Gratitude, Inspiration, Transition and tagged art, artwork, change, Christianity, diary, Diary of St Faustina, Faith, God, Grace, gratitude, Hope, Humble, humble thyself, Jesus, life, love, Marcel van Luit, omnipotence, Peace, prayer, St. Anthony of the Desert, St. Maria Faustina Kowalska, The Diary of St. Faustina, time, Transition, truth. I love Divine Mercy! Have you ever prayed the divine mercy chaplet??? It is incredible! 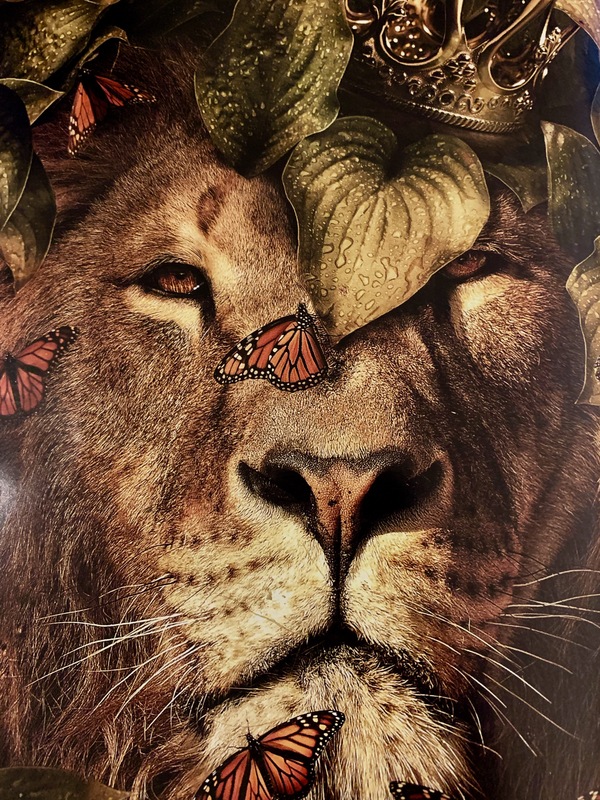 What a beautiful image – the strength and majesty of the lion and the fragility and beauty of the butterflies. Love it! thanks IB—about two months ago when I first saw the lion image I thought something about a C.S Lewis post—but there was never that inner stiring—so this is where it went…. Good morning, Julie. Thanks for the visit already. I do love this picture. The Lion of Judah with such a tender heart!